Many believe the River flows silent and has nothing to say. That is not true. The River speaks to us everyday, in many ways. The River speaks in sign language: clean or contaminated water, healthy or dying fish, natural flows or damaging floods. It is up to us to read these signs and use them to give the River, all rivers, a voice. That is what this blog is about: you and I giving the Delaware River, its streams, and all who depend upon it a voice that is heard, honored, and respected. 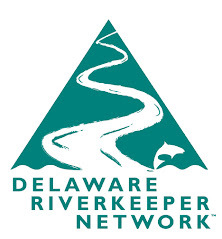 things have happened during her tenure – not the least of which was the granting of the Delaware Riverkeeper Network petition that secured Special Protection Waters (SPW) status for the Lower Delaware River. With SPW designation given to the Lower Delaware, and having previously secured SPW designation for the reaches of the River above the Delaware Water Gap (also in response to a Delaware Riverkeeper Network filed Petition) we became the national leaders in having the longest stretch of river (197 miles) in the nation with this highest level of protection. This designation is the basis for the moratorium on shale gas development. Under Carol’s leadership there has been other notable progress – attention to toxic contamination of the River, a report that recommends increased protections for floodplains, efforts to enhance water releases from the NYC reservoirs for the benefit of fish, attention to the high nutrient loadings in the Delaware Estuary and more. Carol has been a good supporter of the public process and public involvement. She has 6 more months to leave a lasting legacy that will ensure critical protections for the future of the Delaware River basin. We hope she will use her time wisely. We are hopeful Carol will use the next 6 months to become an outspoken champion for a permanent ban on shale gas development and fracking in the Delaware River Watershed, the piece of earth she has been working for over the last 15 years; that she will speak loud and clear for the need for DRBC leadership in actually passing regulations that carry out the protective floodplain and buffer recommendations made by an appointed advisory committee to the Commissioners; that she will use her position as a soap box to call for all things good, and call out all things bad that are, may, will or have happened at the DRBC to ensure that her lasting impression on this watershed and for the future of the River and all the River’s children is one of growing protection and health.